I’m with Gerrie Fourie, the Chief Executive of Capitec. What are you doing in London? Well, we’ve got a CEO conference which Investec facilitates, so it’s an opportunity for us to see asset managers, probably in the region of 20 and 25 in a two-day period, so it’s just very effective for us to come in for two days and spend time with them. Most South African investors know the Capitec story, but are international investors catching on? Yes, international investors are very important for us. If you go and look at our portfolio, 18 percent of our shares are owned by international investors so it’s very important for us to spend time with them, share our story with them and let them understand what’s happening in the business. These guys that you will be seeing in the next couple of days, would many of them be shareholders already? Some of them will be shareholders; some of them will be potential shareholders, so it’s a combination of both. Although, it’s not just London, you’ve actually just come back from the West Coast of America, interesting trip. Yes, we were in San Francisco or Silicon Valley spending time to look at the innovation side of the business, seeing where banking is going to be ten years from now. I think it’s very important to focus on the digital banking side, how that is going evolve, so we spent two days there with start-up companies etcetera, etcetera to evaluate and see where things are moving. There’s plenty to learn. I think it’s quite interesting to see how quickly the world is changing and how many people are actually looking for alternative ways to satisfy the needs of the client. Is it the kind of stuff that you can apply at Capitec? For sure, I think there are many opportunities for us there. I think the most important is to bring it back and to say how are we going to apply it to our client base because in America you have a developed country, so people are financially literate. Our needs are a little bit different in South Africa, so one needs to go and see to package it and how do you bring it to reality into South Africa. You say South Africa, what about other parts of the world, are you now starting to look elsewhere? I’m getting that question in about every single interview, but I think the important thing, if you look at banking bricks and mortar, everyone knows people are moving away from bricks and mortar, so to go digital, that gives you the opportunity to go international. Now I ask that because when we spoke a couple of months ago with you, your results to the end of August, you gave me some market share figures, about 25 percent of your target market, or of the market of R10 000 a month earnings and less, and you think you can get to 30 percent, but even that’s going to be a big chunk of the market. Perhaps you’d be looking in other parts of the world for new opportunities given that you have such an interesting model. Yes, but remember we have a very low market share in the higher income and when I’m talking high income, we’re talking R10 000 to R30 000 per month income earners. We only have about 11, 12 percent market share, given the history of Capitec. That’s the area we’re focusing on and we believe there are many opportunities. How has the credit card rollout gone, because I guess that would be into that target market? Yes, we’re quite happy with the credit card launch. We did it deliberately very quietly, very conservatively. That’s the whole purpose, making certain that it works and making certain we understand the creative models, so the whole focus of that is to maintain it for the next six to seven months and then we’ll do changes to it and evolve it to really attack that particular market. That is definitely the upper income? It’s a combination; the credit card is not only for higher incomes. We’ve launched it for lower incomes and higher incomes, so you have a debit order facility as well as you have a NAEDO deduction, therefore, both markets are being served. Something else that’s quite interesting about that target is half of your branches are in higher income areas. Yes, that’s correct, that’s the whole movement away. We actually attacked the market from the rural side many years ago and the last four, five years we’ve been deliberately focusing on the middle/high income segments. That’s why we’ve opened up. If we’re opening up 50 to 80 branches a year, I would say about 80 percent of them are in shopping malls for that particular target market. So people who otherwise would not have been looking at simplicity, at lower cost banking are doing so? Yes, I think that’s where the economy helps us quite a lot. Everyone is looking at fees, and I think generally, and you know, we’ve spoken to quite a lot of people on this trip and when you talk about the Capitec offer of a very simplistic, transparent banking offer the answer we get is “Why don’t you come to America?”, or “Why don’t you come to London?” because people want that simplicity and they want that transparency. They want to understand what’s really happening with their financial world and that’s where our focus is. So why don’t you go to America or London? Well, the thing for us is priorities, to focus on one particular area. We’ve said we’re focusing on South Africa and optimising that particular market. At the moment we’re quite happy with that. That’s one thing Capitec has always been very good at is focusing and the moment we have to move into London or America or any other country, you need to take a couple of your senior people away and immediately you have more junior people. That gives them an opportunity, but you’re taking a lot of experience out of the bank and while we’re growing so fast there’s risk involved and that’s not an option for us now. This is a different story to something that I read in the financial mail this week which is saying you have big problems with a fellow by the name of Clark Gardner and the Summit Financial Partners and in fact, that the directors of the company are busy dumping shares because of concerns about Capitec. Clearly that’s something that must get you a little hot under the collar. Yes, I unfortunately can’t comment too much about Summit. We are in a legal battle with them. I don’t want to fight that battle via media, but I think the suggestion was made that we are selling our shares because of the legal case. It’s actually not true. Both and André and I were selling shares earlier this year, six, seven months ago. It was options that we took up and we had to sell because you have to pay taxes, etc. Riaan has a different story now, he’s starting with a new venture, and he’s probably looking for finance. I don’t know his financial situation, but he is busy with a venture and he was probably selling to finance that venture. That’s interesting, Riaan Stassen, who was your predecessor as CEO, he’d be in the job now for nearly three years. Yes, it’s just over three years now. He’s still your chairman, Riaan? Riaan is our chairman, yes and he took over from Michiel, so yes, he’s still actively involved. 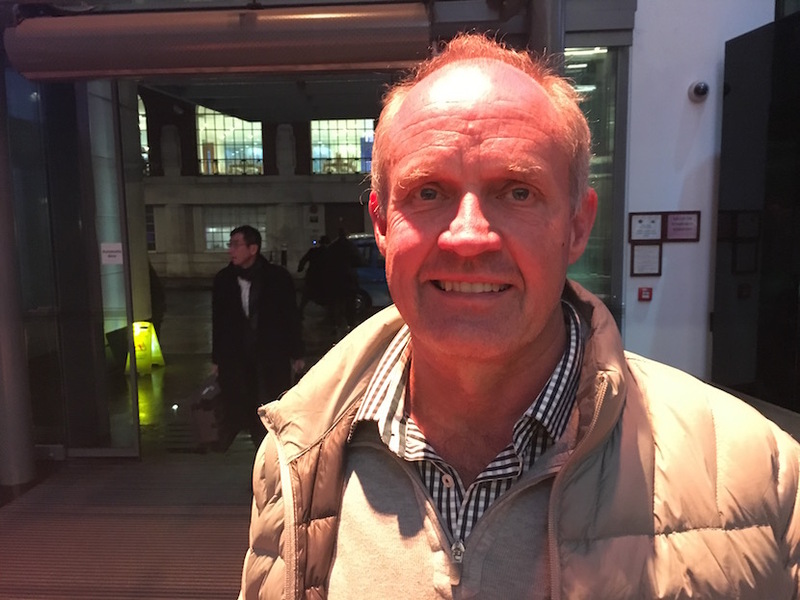 Riaan always said he will never buy a wine farm, but he’s bought a wine farm as you all know, Hidden Valley and he’s busy with other things as well, a very interesting new start-up that he’s starting in South Africa. Not in the financial services. No, not in financial, the manufacturing side. I don’t want to talk too much about it, but he’s definitely busy with a new company that he is starting up. Well he’s been a very successful entrepreneur with your business, so no doubt he’ll be doing that as well. We saw in the media this morning or at least I got some information from the business school at Stellenbosch this morning that you won another award and this was to do with your annual report where you were rated tops in the financial sector. Yes, we got that news, I think it was two or three days ago. We’re very pleased about it. André was responsible for that and yes, I think it comes back to the way we do things. Our financial results are always available one month after our year-end or one month after our half-year results and then that whole talking to our client base and our investors in a very simplistic, transparent manner comes through in the result. I know you said you don’t want to talk much about it, but with Summit Financial Partners, here in the UK there have been some hefty fines on banks for doing things that were not 100 percent right, are there any of those issues, payday, lenders, mis-selling of insurance, any of those things that might be involved in what he wants to fight with you in court about? Well, what he wants to fight with us in court is about the multi-loan product. The NCR also were investigating it. What is a multi-loan product? What it is, your client qualifies for a one-month product for 12 months in concession if he repays and if his income and expenses stays the same. The moment that there is a difference in expenses or income it stops and you need to reapply, or if his credit record has changed. Just help me here. I earn R10 000 a month, I come to you, I need a R5000 loan, you grant it to me, how does it work in this multi-loan product? We grant it to the client, so he gets, let’s say now R5000 and that R5000 is then available for a 12-month period. Every month he can get R5000. It’s very similar to a credit card product. Why did we bring it out, because what happens now is the client doesn’t need to come to the branch every single month to do a reassessment, the assessment gets done either when he applies on the phone or if he applies at the ATM, so it’s a convenient product for the client. When you say R5000, is it R5000 a month or does he have a R5000 limit? No, it’s a R5000 limit and that’s depending on what is happening on his credit history. It’s quite a complicated product. It was very successful, very focused on the client. Regulations changed, your affordability regulations changed in September last year where you need to bring in a payslip and a bank statement and we had to change the product completely to a credit facility, but coming back to your first question, the National Credit Regulator investigated the whole product and as you all know, earlier this year they withdrew their whole case because they were quite happy with the affordability assessment and the way we conducted the whole product. I guess from that perspective you’re always going to have people who will be taking pot shots at you from both inside and outside the industry. Yes, I think that the bigger you become, people will use the opportunity. For us it’s a concern when it has an impact on our reputational risk and we need to manage that particular area. We’re quite confident from a credit perspective, (we’re very conservative, and we’re much stricter than what the national credit regulator prescribes). Therefore, we’re very focused on making certain we are compliant, but from time to time you get a system error and if that happens we correct it as quickly as possible and refund the client. What’s the credit landscape looking like in South Africa now? I think it’s still under pressure. If the economy is not growing then it’s a difficult environment. We’ve seen a big reduction in overtime and in bonuses being paid out and then a lot of unemployment and retrenchments. The retrenchments that we’re seeing in our books have doubled from a year ago, but I think the big noise, the problems that we had in the mining side, that has stabilised. I think we’re getting to a more stable environment, but the consumer is still under pressure, that’s for sure. You said at the interim stage that you were cutting back on your lending to the bottom end of the market, is that still the situation? Yes, actually this weekend we’re putting in new credit rules, we are cutting back even more in certain risk categories and we’re opening up in certain risk categories, so we continue and we will always do that on a monthly basis, evaluate results, see where’s stress, where there is not stress and make adjustments, but there is definitely stress on your lower income earners because they’re not getting those overtimes, they’re not getting those bonuses, there are retrenchments happening, there is unemployment coming through and you need to manage that. Are you seeing any businesses that are closing or rather an increase in the number of businesses that are going bust? If you go and look at liquidations on businesses, it’s fairly similar to last year, but what you’re seeing, a lot of the smaller shops are just closing down. If you walk into a shopping mall you’ll see these biltong shops etc. today they’re there and tomorrow they’re closed down and that’s just the economy. What happens to your credit extension in that case? In that case, if that business just purely closed down then you lose out on that credit that you extended. If it was a pure liquidation or it was a retrenchment we have cover for both of those and then the loan gets paid completely. So it’s one of the things we’re doing on the smaller businesses, high risk businesses where we’re pulling back quite a lot and we’ve been doing that for the last two to three months. That would be the owners of those business? Are you finding that your provisions that you’ve made are coming under pressure now, are you having to make bigger provisions? No, we’re still happy with our provisions. It’s a thing that we look at every single month and we still believe we’re very conservative in our provisioning side and we will always be, so we’re not too perturbed from that point of view. So the banking side’s under control, the transaction side is where you’ve had quite a lot of excitement over the past few years. This app that you’ve launched now, the growth there in the transaction seems to be exponential. Yes, I think well it’s actually not only the app, you know we’ve done quite a lot of things to actually help the people to do self-help transactions. You have the app, you have USSD, you have our ATM’s where you can withdraw money, you can deposit money and you can draw bank statements and then we’ve put in about 150 self-help devices in branches where people can draw banks statements etc. and that’s been tremendously successful, so we’re quite happy with our ability in the last couple of months to move people, our client base towards to self-help because your transactional or your banking branch infrastructure is a costly transactional platform. Therefore, the more we can actually get transactions on a self-help basis, the better. You’re still growing your branch network, so presumably you’re still adding staff? Yes, we are. Staff is still growing with about plus minus 150 people every ten days, so up to roughly about 300/350 per month, so that is still continuing. We are, next year probably going to cut back a little bit on branches, but the reason for that is we’re upgrading the older branches. There’s a big drive on making certain our positioning is correct, so there’s a big drive on uplifting the older branches. Those 300 people plus that you’re hiring every month, where do you find them? They’re coming from the community. We’ve always said we’ll employ people from the community to service the community. If we open up a branch in Umtata, it will be people from Umtata. There is a tremendous process that we go through; it’s a factory on its own. If we appoint six people we’ll start off with on average 100 and then we take them through a three-month training course and then another two, three months to be trained fully in-branch, and then they’re servicing our clients. Do you find that once they are well-trained though and been with you for a while that they move on elsewhere given that they’re now pretty good retailers, not necessarily bankers? The average age of our consultants is about 22, 23, so they’re very young, or its people just out of matric and what we find is our staff turnover in the first year is high. I think it’s a matter of people saying “I will get a job” and then working three, four, five months and saying “This is not really what I want to do, I want to do something else”. In the second and third year that staff turnover drops completely, but for us it’s part of our investment in South Africa and developing people. We don’t see it as a problem, we see it as creating Capitec ambassadors out there because it’s interesting, we’ve seen our consultants and evaluated our existing old consultants and new consultants and the new consultants’ client acquisition is about three to four times higher than the older consultants. So the guys are a little hungrier and keener? Well, they chat to their friends and family and say “You must come and bank with Capitec” so I think that works for us. Do you get credit for that from government; are they happy at the fact that you’re growing employment in the country? There was the reserve bank report or Treasury’s report that said Capitec had saved consumers billions of Rands, which was highly complementary, so at least one part of government does like the fact that you’re around. Yes, there was an independent market research done on our impact on what we saved the clients in South Africa on transactional fees and they came to a figure of between R18bn and R19bn per annum because I think the one thing we’ve done, with our whole simplicity and transparency and very low fees is the other banks reacted by adjusting their fees as well. Are they coming at you yet? We’ve heard that other banks are aggressive and looking at your market area. For sure, South Africa unfortunately has 55-million people and there are 15-million people that are employed, so it’s actually a very small market and we’re sitting with four very big competitors, so the competitive area is quite high in South Africa. Gerrie, what kind of questions do the foreign investors ask you, these people that you spend two days with in back-to-back meetings here in London? Well, it would be interesting. I don’t know what the theme will be tomorrow and the day after, but it can range from, normally what’s happening in the economy in South Africa towhat’s happening with the politics. Do they even talk politics to you? Yes, because they need to understand, do they need to invest in South Africa, yes or no and then they look at competition and then they look at the business itself, so it will range between, you have an hour with asset managers and it can range, depending on what is concerning that particular asset manager and what he wants to understand better. How forthright can you be, say on an issue like politics? Yes, I think one can be forthright. We know what the problems are in South Africa. I think one of the biggest challenges and for me it’s one of the pluses that I’m seeing in the last six to eight months is the fact that business and the political area is starting to work much closer. We’ve seen what has happened with the whole CEO initiative, so for me that’s very positive and I think there is a big change happening in South Africa in the last six months if you’re looking at the political power shifting between all the different parties so it’s going to be interesting in the next year with the presidential election taking place end of next year. Are you more positive today about the country than you might have been a year ago? Yes, I think I’m more positive than what I was in the beginning of this year, end of last year because then you had the Nene saga, the Rand went to 17 to the dollar, and you had the downgrade. We’re still waiting to see what’s going to happen with the next downgrade, but I think the one thing is we tend to be very negative within South Africa, but wherever you go internationally there’s not big growth internationally, there aren’t many opportunities. We’ve seen what has happened with Brexit, we’ve seen what has happened now in America, so you need to manage yourself through these difficult times. 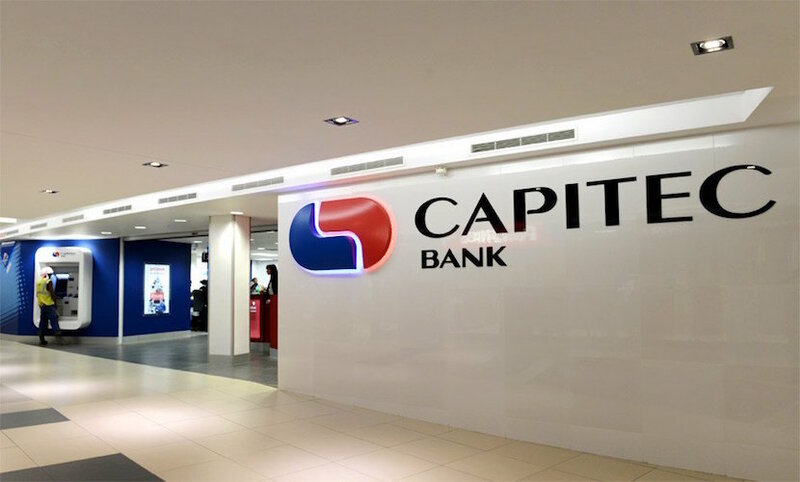 Are you happy that Capitec is still well-positioned, lots of runway, and that it keeps growing within its focus area? Yes, we believe there’s still a lot of runway, we’re starting with the credit card we’re looking at and that’s still in the beginning phases, so there’s a lot of runway. We’re starting to look at insurance for next year and you know I’ve said it a couple of times before, there are other opportunities in South Africa as well that we need to look at. Then there is always, everyone asks when will we go international, so we believe there is a lot of runway still to happen. If you look at other opportunities in South Africa, the whole SME lending is something that, nobody has cracked yet and I think there is an opportunity. It’s not easy but that’s something one needs to look at. Let’s just close off with, because we are sitting in London, on the international opportunities, clearly to move into a brand new market with a whole bunch of South Africans would be tough, would you look at any partnerships, identify maybe companies that are like yours? We will definitely look at partnerships. If you want to go into a different country, I think to go alone as a bank is going to be extremely difficult. I don’t think you will get it right, so you will have to find partners and work with those partners and people that think similar to what we think. Then you can bring what you know and possibly plug it into what they know. Yes, that’s what partnerships is all about. You have strengths, you have weaknesses and if the partner has got strengths and weaknesses and if you can support yourself, each other and then create something unique, that’s where the opportunity lies. Would you necessarily be looking at developing the markets? It could be, you know we actually haven’t really applied our mind to say okay right we’re going to go into a specific country. Myself and André travel quite a lot, other of our senior execs travel and many that travel, they explore but we haven’t said that there is a particular country that stands out that we need to go in. Our focus is still on South Africa.